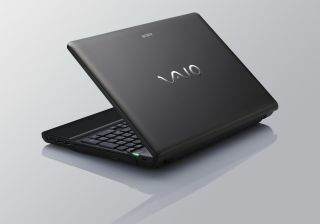 Sony has announced a couple of additions to its VAIO notebook range, in the shape of the E and W series. The E series is the more heavyweight of the two, offering a 15.5-inch screen in a thinner chassis (248.2 x 31.1 x 369.8mm). It has 4GB of DDR3 RAN, Windows 7 Home Premium and an Intel Core i5-430M 2.26GHz with Intel Turbo Boost Technology, up to 2.53 GHz, as well as Dolby Home Theatre with HDMI out too. The screen is also 'enhanced' by a super-thin bezel, and the keyboard is apparently laid out in an easier to use format, with 'evenly pitched' columns. The W series is the more netbook-esque of the two, although Sony would never call it such. It's packing a 10.1-inch screen, and weighs just over 1kg. There's a 250GB HDD on board, with Windows 7 Starter powered by 1GB of RAM. The processor is your basic Atom effort, the N450 (running at 1.66GHz), and there's also a cheeky webcam on there for all your video conferencing needs. The W and E series are available from later this month, although no pricing has been announced as yet.